SBIRS GEO Flight 3 is equipped with powerful scanning and staring sensors that collect and transmit infrared surveillance information to ground stations. This information is used by the U.S. military to detect missile launches, support ballistic missile defense, expand technical intelligence gathering, and bolster situational awareness on the battlefield. 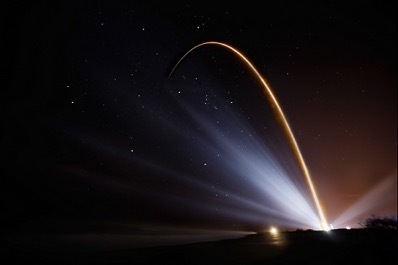 The satellite was launched aboard a United Launch Alliance (ULA) Atlas V rocket. Downloadable images and video b-roll of SBIRS are available here: www.lockheedmartin.com/SBIRS. The satellite will begin transitioning to its final location in geosynchronous orbit, approximately 22,000 miles above the Earth. There, the satellite’s solar arrays, light shade and antennas will be deployed to begin early on-orbit testing. SBIRS GEO-1 and GEO-2, which were launched in 2011 and 2013 respectively, continue to meet or exceed performance expectations. The satellites’ sensor pointing accuracy and sensitivity for detection of targets significantly exceed specifications. While SBIRS’ primary mission is strategic missile warning, infrared data will also be made available for new qualified military and civilian applications at the Air Force’s recently opened Tools, Applications and Processing Lab in Boulder, Colorado. The next satellite, GEO Flight 4, will undergo final assembly, integration and test prior to its planned 2017 launch. SBIRS GEO-5 and GEO-6, which are currently in production, incorporate a new common spacecraft bus, the modernized A2100, to dramatically reduce costs and cycle times while increasing the potential to incorporate future, modernized sensor suites.